"I want to come back as soon as possible because it's what we like and what we want to do" – Valentino Rossi. Valentino Rossi came back to the MotoGP enclosure on Thursday at Aragon, only 21 days in the wake of breaking his correct tibia and fibula in an enduro preparing mishap. Having ridden laps on an R1 superbike at Misano on Monday and Tuesday, the nine-time best on the planet has chosen to attempt an early come back to Grand Prix action this end of the week. The principal leap was a restorative test by the circuit specialist, which Rossi passed, and he will now (climate allowing) take to the track in Friday's opening practice session. Following surgery, specialists had anticipated the Italian star would require 30-40 days recuperation, which is like the time span required when Rossi already softened his leg up 2010. Rossi stays fourth in the big showdown, yet has slipped 42-focuses behind joint title pioneers Marc Marquez (Honda) and Andrea Dovizioso (Ducati), in the wake of being compelled to miss the past Misano round. However, Rossi denied that his thin title chance is the fundamental inspiration during the current end of the week's arrival, rather saying the sooner he is back on a MotoGP bicycle, the sooner he can completely recuperate. Yamaha's WorldSBK star Michael van der Mark stays on standby for a MotoGP make a big appearance, should Rossi choose not to finish the entire end of the week. 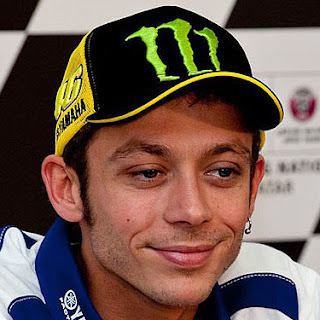 Valentino Rossi: First of all, I'm happy to try and ride. I need to understand the feeling with the MotoGP bike because it's a bit different. In general, I feel quite good, fortunately not too much pain and getting better every day. I tried some laps in Misano and the feeling was for sure a bit of pain, but I can ride. So we wait for tomorrow and try to understand if it's possible to ride the MotoGP bike at a good level. Also, this race is very important to improve for the next races, to try to come back at a good level earlier. We need to understand also the leg - between Friday, Saturday and Sunday, what's happened. We hope for good weather and we see tomorrow on the bike. Some say you are crazy to come back so soon? Valentino Rossi: I think that every injury is different. It depends very much on the type of fracture and also I was lucky because I had a very good doctor for the operation, and the operation went well. At the beginning for sure in my mind was more to come back in Motegi. But day-by-day I improve a lot. I work very hard to have a good level of power and less pain in the leg. I think that it's important to come back on the bike as soon as possible and not stay for at home for another race because that way I will need less time to come back to a good level. So I will try. What gives you the most pain on the bike? Valentino Rossi: When I ride the motorcycle I have pain where I have the fracture, so on the tibia that is quite low and the fibula that is quite high. And I suffer a bit in the change of direction. For sure I'm not moving fast on the bike like at the maximum fitness. Also on the right corners, I suffer a bit more because I feel a bit more pain. But every day it's coming a bit better, so I hope that also during the weekend the leg improves, I can make more kilometers on the bike and be more comfortable in that position. Are you coming back because you feel the championship is still alive? Valentino Rossi: No, it's not for the championship. I mean everything is open, but especially everything is open for the first three in the championship. But it's not for that. It's because I want to try to get back to a good shape as soon as possible and I think this is the best way. How is it possible to do this comeback at 38 years and after 9 titles? 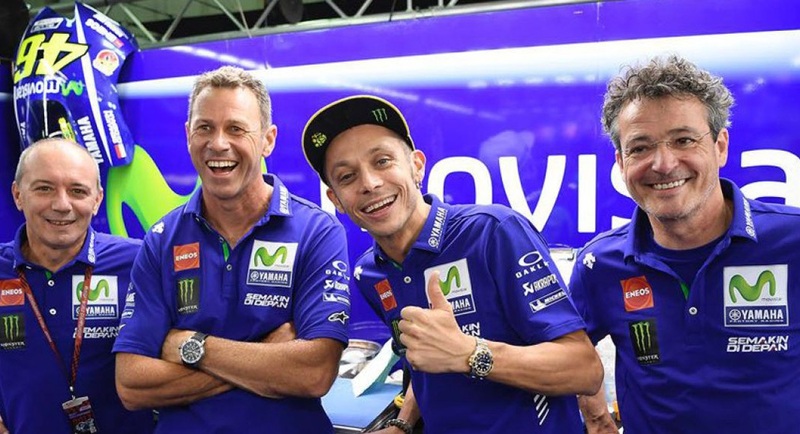 Valentino Rossi: Unfortunately the number of titles is no help when you have an injury! Sincerely, about the age, depends very much on the type of fracture and your motivation. I want to be here. I suffer a lot to miss the Misano race and it's very important to try to be focused, to work and have a good team, good help to do the right things. Also, the motivation to come back as soon as possible on the bike is important. How much is down to medical treatment, how much is the motivation? Valentino Rossi: First of all, for this type of fracture, now they always put a pin into the tibia, also for normal people, not just riders. So also normal people are able to shorten the recovery time. It's very important the surgery if everything is ok, and I feel a lot, lot better compared to seven years ago. So I can come back earlier because this fracture is different, but also because the medicine has improved a lot. I remember in 2010 after the surgery I had five or six days where I was very, very bad and this time already the next day I was able to go back home. So I think also the medicine improved a lot. The motivation in this occasion is very important. I, like all the other guys, want to come back as soon as possible because it's what we like and what we want to do. Also, this makes the difference to have less recovery time. Were you worried about passing the medical test at the circuit? Valentino Rossi: I was quite positive about the test because last time in Sachsenring in the 2010 comeback I was in a worse condition. Now I'm able also to walk without the stampella crutch. It's very important the load that you can put on the leg and already mine is quite good. And also the movement of the knee, or the ankle, they test everything. But also the leg is good to look at, it's not swollen and a normal color. So it was quite easy. When did you start thinking about racing at Aragon? Valentino Rossi: In the first days after the accident I understood that I feel a lot, lot less pain compared to last time. So I think that I can make in a shorter time. Anyway, the first week was difficult, but after the first 10 days I start to improve a lot, every day and started to have a good feeling from the leg and ankle. And then I start to think about Aragon. I know it's difficult. Just 3 weeks. We speak also with my crew, my guys and I think that is very important anyway to try to ride the bike even if at Aragon it will be very, very difficult. Also to finish the race. But it's very important not to lose another race, also because after Aragon you have three weeks before Motegi and it's also very important for the last part of the season, also to understand what we have to do more precisely with the leg to come back to the top. Valentino Rossi: Last time was a big surprise. I lose the podium in the last lap, the last corner, with Stoner. But was a surprise also for me. Difficult to say now. It's a bit different, the level is very high but especially the last place is usually only 1.5s from pole position. I don’t know my level yet. I need to understand tomorrow. First of all, it's very important to try and improve day-by-day with the feeling on the bike and with the leg. Already, to finish the race is a good target and maybe take some points also. But it's very early to say. Let's wait for tomorrow. Now have will have two 2018 frames? Valentino Rossi: Yes, I think this time we have two bikes the same. It's good. Easier. How would you feel if you were van der Mark? Have you spoken to him? Valentino Rossi: No! I don’t speak with van der Mark, but Yamaha was always very close to me and Lin Jarvis came to the hospital one day after the surgery and also coming to my house one week later. He always followed my progress and we were already agreed, I mean he said 'we are ready, but if you are able to come we are happy'. I think also van der Mark in the last days understood it was maybe difficult for him to ride this weekend!